These stunning animal portraits are just three of 150 artworks shortlisted for this year’s Wildlife Artist of the Year competition, going on display at Mall Galleries next week. The exhibition, now in its eighth year, is run by the David Shepherd Wildlife Foundation, an organisation working to combat conservation threats, such as poaching. Work by established and new artists will be on display and for sale for just five days. 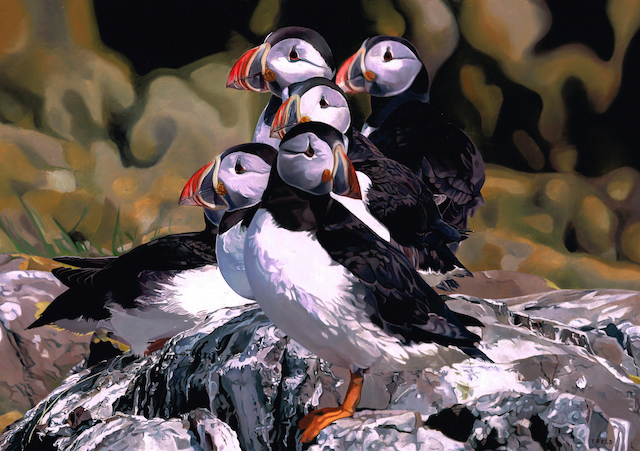 Nine categories including Endangered Wildlife and Wildlife in 3D consist of painting, portraits, sculpture and more. The winners were announced on 29 June. The overall winner was sculptor Nick Mackman, for her collection of ceramic warthogs. The full list of winners in each category can be seen here. 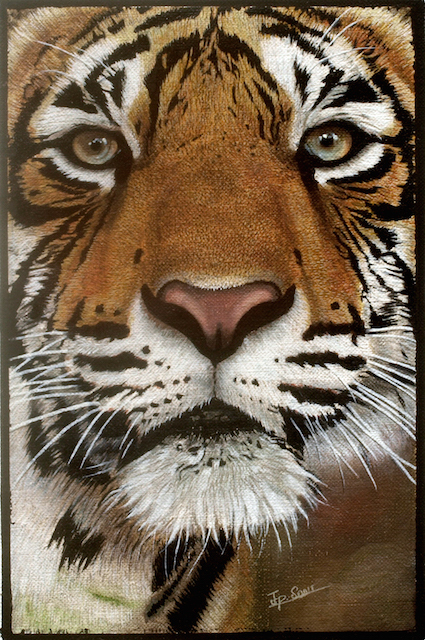 Postcards by the likes of Joanna Lumley, Robert Lindsay, Francis Rossi and Deborah Meaden will be on sale in the North Gallery, alongside a life-size oil painting of a tiger by artist Richard Symonds. Proceeds from these works will go specifically to the charity’s TigerTime campaign. 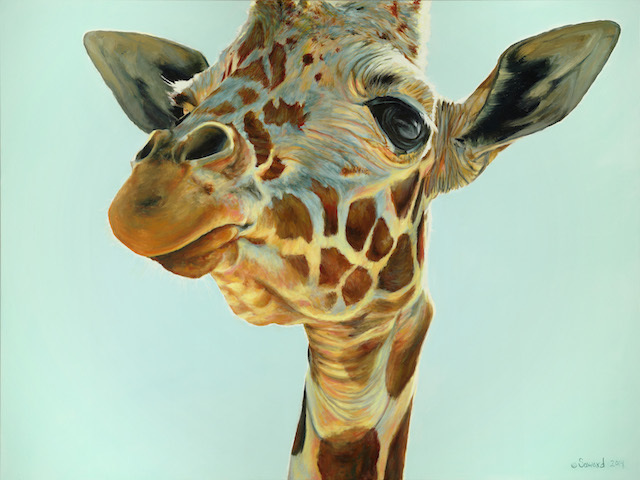 Wildlife Artist of the Year Exhibition takes place at the Mall Galleries 30 June -4 July. Entry by donation.